Anti-social behaviour is defined as an act that causes harassment, alarm or distress to one or more individuals that want to live peacefully in their homes and neighbourhoods. The University is committed to dealing with those who behave in a way that threatens the peace and security of local residents and works closely with partner agencies to ensure any incidents of antisocial behaviour are dealt with quickly and efficiently. The University is located in a quiet residential area. Residents are a mixture of working adults, families with young children and the elderly, all of whom need to be able to enjoy the comfort of their own home. Unlike London and other large towns, there is very little noise in Buckingham at night, therefore any noise you might make will disturb other people. The University expects all of its students to treat others living in their neighbourhood with respect. By being a good neighbour you will be helping to protect the reputation of the University and its students, which will make your time in Buckingham more enjoyable. It is a fact of life that we all make noise, whether we are talking to others, playing music, entertaining, driving our cars or just going about our daily business. What is a noise disturbance to one person may be pleasurable to another. However excessive noise can cause major interruption to people’s lives and can seriously affect health and wellbeing. 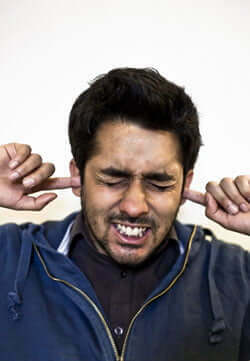 Noise nuisance can be described generally as “an unlawful interference with a person’s use or enjoyment of land or property”. Under the Environmental Protection Act 1990, Aylesbury Vale District Council Environmental Health Officers can investigate complaints of noise disturbance. If they find evidence of nuisance, then they will serve a Statutory Abatement Notice. This will formally tell the offender to “abate the nuisance” and sometimes state the measures to be taken to achieve this. If this notice is not complied with, then they may prosecute the offender and conviction can lead to a substantial fine (up to £5000 per offence) and the destruction of any noise making equipment. In extreme cases where an incident is causing significant disturbance, such as a malfunctioning alarm or a noisy party, the Council can apply for a warrant from a magistrate to enter the property and/or seize the equipment if this is deemed necessary to abate the nuisance. If you can hear music from another room in your house then it is likely your neighbours can also hear your music. If you want to play music loudly – use headphones. If you are planning on having a party; let your neighbours know in advance, and ensure the music is turned right down at a prior agreed time. If you feel that you are affected by noise nuisance then you should contact Environmental Health on +44 (0)1296 585160 or envhealth@aylesburyvaledc.gov.uk. To be able to drive a motor vehicle in the UK you will need to produce all of the following documentation. A full driving licence. This should permit the holder to drive legally in the UK without the need for a further driving test. A valid Certificate of Insurance with a minimum of Third Party cover. A current road fund licence [tax disc] is displayed. Treat other road users as you would wish to be treated yourself, showing courtesy and patience. You should not sound your horn unnecessarily or play loud music with your windows open. More information about driving in the UK is available on the UKCISA website and the DirectGov website. When parking your car, do not, under any circumstances, park your car in any area marked “Private” or “Residents only”, unless your own Tenancy Agreement gives you written permission to use a parking space. Failure to follow this advice might result in your car being clamped or even towed away. Do not block access to or from a private car park or car parking space, even for just a few minutes. Blocking access can cause tremendous inconvenience to others and should be avoided. Do not park unlawfully (on double or single yellow lines, or in a way that obstructs other traffic) or in parking bays marked ‘disabled’ or ‘parent and child’ if you are not entitled to do so. More information about parking can be found on the DirectGov website. Dropping litter is not only considered very thoughtless, it is also against the law and fines can be imposed on offenders. 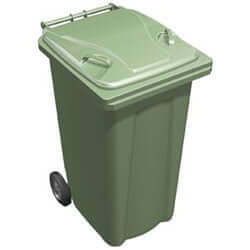 Bins are often available but if not, take your litter home with you and dispose of it with your other household waste. The University is committed to improving its carbon footprint wherever possible. Some of the most significant changes can be made by the contribution of staff and students in some of the simple suggestions recommended within our Environmental Policy. It is very important to dispose of your household rubbish in the proper bins / receptacles and put any bins or bags out for collection at the proper time (for those living off-campus) and bring your bins back in after the refuse has been collected. Further Information about bin collections and recycling can be found on the Aylesbury Vale District Council website.